← Beautiful Brows Begin Here. Are you ready to shine? Take the spotlight? Look camera-ready? 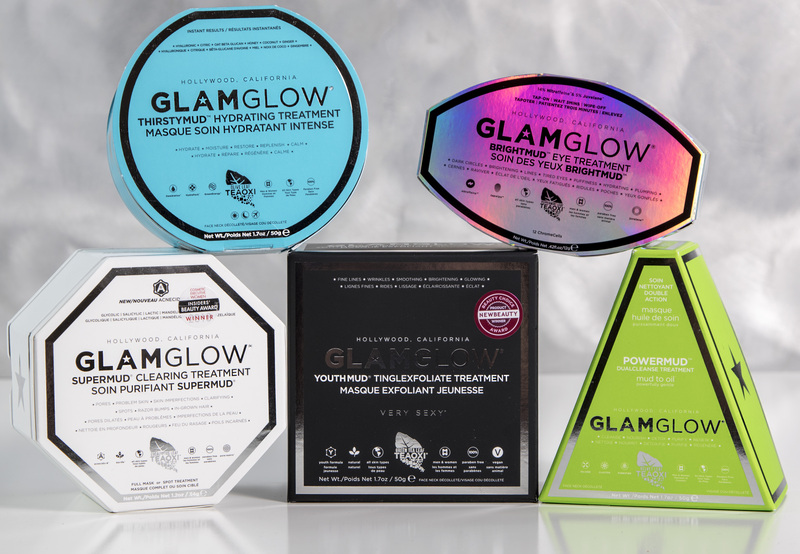 Introducing GLAMGLOW – a leading skincare line that’s new to Face and Body Shoppe – and a superstar performer. Check it out. GLAMGLOW is straight out of Hollywood, and full of natural, skin-loving ingredients. They are mud-based treatments with patent pending TEAOXI formulas. But, what gives these products super stardom status is they work in just 10 minutes! The entire collection is great for gals and guys and all skin types. Me: What is your skin type? Me: What did you like about each product and/or what results did you see? -POWERMUD DualCleanse Treatment (it transforms from a mud to oil): It left my skin feeling amazing, and really cleansed, but gently. -THIRSTYMUD Hydrating Treatment: I like to put this on at night, it smells incredible and I wake up with fresh-feeling, hydrated skin that glows. -SUPERMUD Clearing Treatment: I think this is one of the best clearing masks ever. I could literally see the extractions taking place. It leaves my skin in perfect shape for the day, with minimized pores and less imperfections. -YOUTHMUD TingleExfoliate Treatment: I like that you can control the exfoliation depending on how much you rub your skin. It gives my skin a new brightness. Me: Which is your favorite product? Her: That’s a hard one because each one is different and has a different result. But if I have to choose, I would say BRIGHTMUD Eye Treatment because I think it’s very unique. Me: Would you recommend this line to a friend? Her: ABSOLUTELY! The entire line is fantastic. Me: Any other comments about GLAMGLOW? Her: With each treatment there are instantaneous results and you will love each one. Thanks, friend. And a rave review for GLAMGLOW. Get glam gorgeous in minutes. This entry was posted in anti-aging skincare, men's skincare, women's skincare and tagged anti-aging, masks, skincare. Bookmark the permalink.